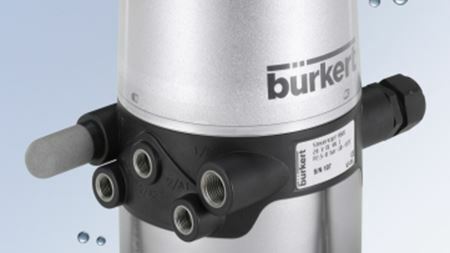 Bürkert has launched the 8681 control head for decentral automation of pneumatically controlled hygienic seat valves, butterfly valves and ball valves. Energy Recovery Inc has hired Ismail Nawaz as vice president, oil & gas product development and Baji Gobburi as director, water product development. The recently renovated Trocadero fountain in Paris is equipped with KSB pumps. Edwards has signed its first authorised service provider agreement in South East Asia with Singapore-based Wing Wah Industrial Services Pte Ltd.
Bürkert has developed new actuation technology for media-separated minimum-size solenoid valves. Vacuum equipment manufacturer Edwards is launching a ‘plug and play’ turbo pumping station for laboratories and research centres. The Schaeffler Group has launched an improved version of its FAG DTECT X1 online condition monitoring system. JDA Global LLC has opened JDA Global Pump (Shanghai) Co Ltd in China. HMS Group subsidiary Hydromashservice Ukraine has completed the delivery of an APE 270-150-4 electro pumping unit for Jindal Steel & Power Ltd (India). ITT Corporation’s water technology and services business will be named Xylem when it becomes a standalone company later this year. Crane ChemPharma Flow Solutions has bought the German valve manufacturer WT Armatur GmbH & Co KG. John Whalen has been appointed vice president of strategy integration at Dover Corporation’s Pump Solutions Group (PSG). Alfa Laval has won a SEK135 million brewery order in Brazil.